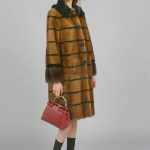 Eclectic nerdiness met opulence in Karl Lagerfeld’s Fendi pre-fall collection and the result was a multiplier effect of the awkwardly pretty and maximal plush. His affinity for contrasts played out in a sophisticated, ultraluxe lineup with an undercurrent of frisky playfulness. 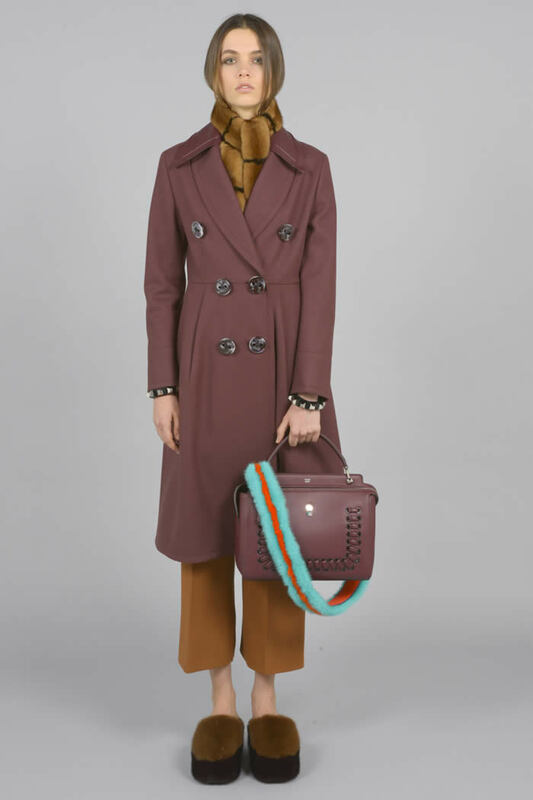 Chunky slippers in leather, sheepskin and fur worn with slouchy socks underscored the loungy boudoir feeling of the clothes, including a velvet pajama-like tuxedo and a roomy, fuchsia and brown wool jacquard robe coat cinched with a lavish mink belt. Another delightfully rich graphic piece was a mannish intarsia coat crafted from mink - shaved and long haired - with astrakhan lapels. 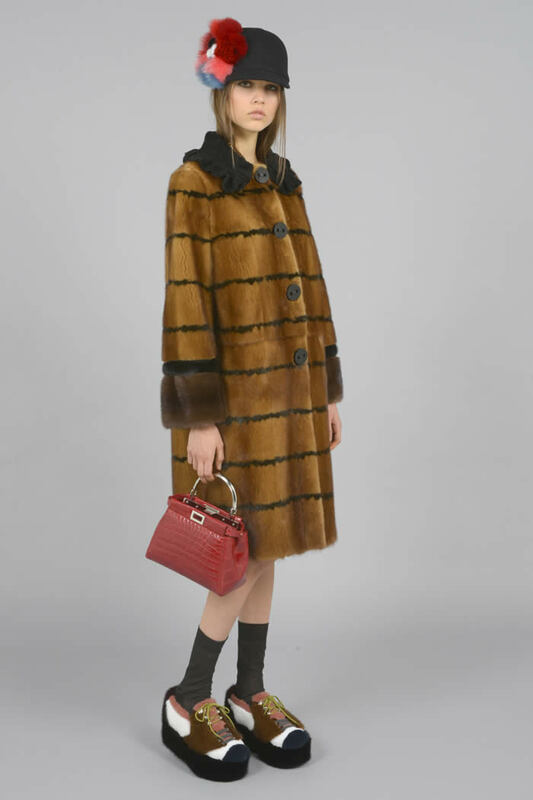 To counter the lush masculinity of the oversize shapes, there were girly grandma moments in a vintage-y striped fur coat and cloche festooned with a colorful, cartoony fur flower and a silk jacquard dress enriched with organza floral appliqués and jewel embroidery.